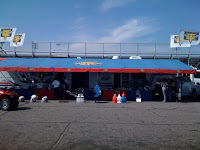 This past weekend was the Million Dollar Race at Memphis Motorsports Park and it was another great day at the track. Congratulations to all of the winners and thanks to everyone for coming out! The New BTE T-Shirts Are In!